The year was 1979. A happy intersection was about to occur. I and my fellow string overachievers were at a high school orchestra festival in Colorado Springs and were about to be introduced to something that would fascinate me for decades. For the most part our guest conductor ran the normal type of rehearsal and concert. Dr. Gordon Childs was funny and witty and taught us quite a lot about the music we were playing (I distinctly remember Haydn’s Symphony no. 104). We learned new things, improved, and had a great time–a large measure of success for these types of events. But there was something different about this event. Dr. Childs also played a concerto on an instrument unlike anything we had ever seen. 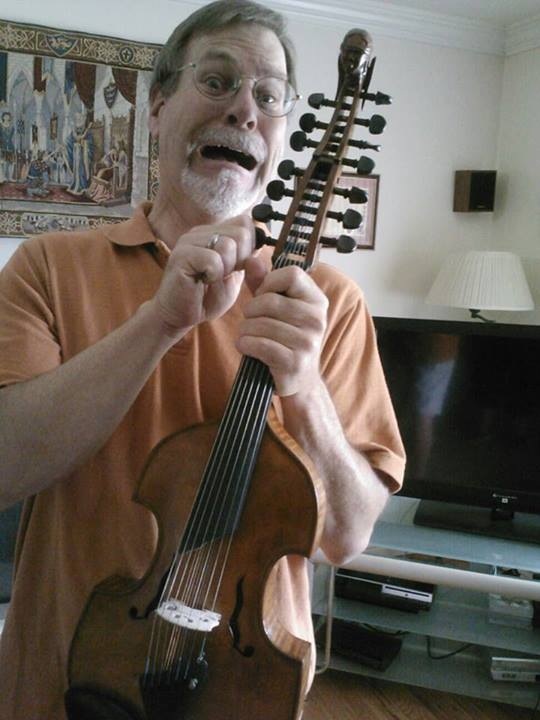 Unbeknownst to us, besides being a conductor of youth groups he was also a respected performer on the viola d’amore. 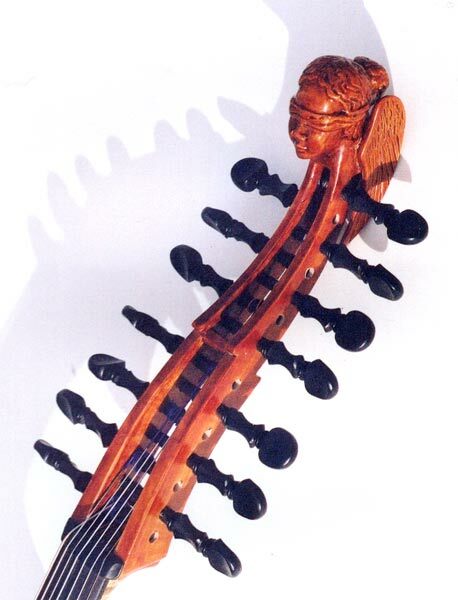 The instrument is a unique 14- stringed hybrid that had refused to die when the violin family took precedence in the late 1600s. In fact, composers continue to write for it today. It is an intriguingly beautiful instrument, one that stretches back across centuries and cultures, and it is certainly impressive to hear. I still remember the collective awe as the instrument first emerged from the case. This only intensified as we heard the sweet tone of the 7 playing strings and the ringing overtones of the 7 sympathetic strings underneath. It was an honor for us young musicians play alongside this unique instrument, and certainly made an impression. Your voice yet true to sing. Ahem…sorry, I was also into to Tolkien in 1979. 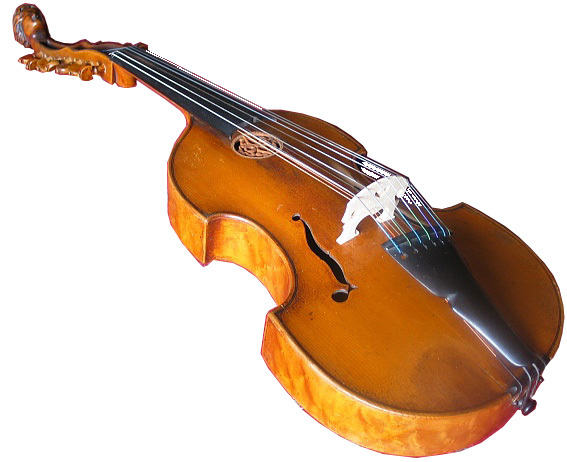 Unlike Frodo or Bilbo though, I continued without leaving the Shire, dedicating (and humbling) myself with mastering the mere four strings of the viola. Though I still fantasized that some day I might play the viola d’amore, I went off to college and life took its course–two degrees in viola, one in conducting, careers in both. Although I recall a few instances of giddy excitement when seeing a viola d’amore in a museum, the chance of actually playing one seemed to recede with each passing year and decade. 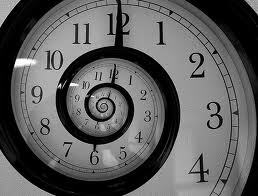 But life takes interesting turns. My latent interest was rekindled when an opportunity for obtaining new instruments surfaced at the university where I teach. With that singular possibility, the fire was rekindled. I began to imagine once again, to yearn for the sound once more. Yet an unexpected surprise was right around the corner. With grant in hand, I chose a respected luthier, Alma Jay Young, who fortunately was located only 40 miles away. At that initial visit I mentioned that my interest in the viola d’amore was fueled back in high school by Gordon Childs. To my surprise, Mr. Young mentioned that Dr. Childs was not only his acquaintance, but a close friend. Apparently the VDA world was even smaller than the viola world. Then came the real shocker–he lived only a half mile away–Dr. Childs had retired to Utah. A few weeks later, I was excited and humbled that Dr. Childs was waiting at Jay’s shop to introduce me to the instrument once again. And I was particularly pleased to learn that he was still engaged with sharing his knowledge and wisdom. So now, at age 50, I find myself studying with the man who provided an inspiration some 35 years prior. The idea that the teacher appears when the student is ready appears literally true in this case. So now the journey continues, and in case you were wondering, I took to the instrument right away. I have discovered a renewed enthusiasm for playing that is as intuitive as it is fresh. I am more excited about holding an instrument under my chin than I have been for years. Good thing, too. I have six performances on the instrument in the next three months. I’d love to write more, but Vivaldi and Telemann are waiting. And yes, I have to tune all 14 strings before I begin! Postscript in memorium: The maker of my new viola d’amore, Alma Jay Young, passed away a few months after I obtained the instrument. I regret I did not get a chance to know him better. I hope to keep his legacy as a maker alive through my performances.